We got to chat with Hannah Fettig this week, the creative brains behind the Knitbot blog and Stashbot app. She talks to us here about developing “classic designs for the modern knitter.” You can browse and buy Hannah’s PDF patterns on LoveKnitting here. Hi Hannah! Tell us a little bit about yourself and Knitbot! I live on the coast of southern Maine with my husband and two children. In 2008 I started a blog with the name Knitbot while I worked on my first book, Closely Knit. In 2009 when I started self publishing patterns it became my brand. Today I have published many individual patterns and books, hosted a podcast and developed an app (Stashbot). What is the story behind your first knitting pattern? My first knitting pattern was for The Fibre Company, which was originally based here in Portland, Maine. I had knit many, many sweaters and this first design cobbled together elements of patterns I had enjoyed knitting. It was featured in The Fibre Company booth at an industry trade show, a craft book editor saw it and the next thing I knew I had a book deal. I felt unqualified at first, the book was to contain 30 designs! But with encouragement and prodding from my editor, friends and family it happened. That’s amazing – how would you describe your design style? From the beginning I have striven to design pieces to be worn effortlessly on a daily basis. Simple designs with clean lines and drape make up my most popular pieces. 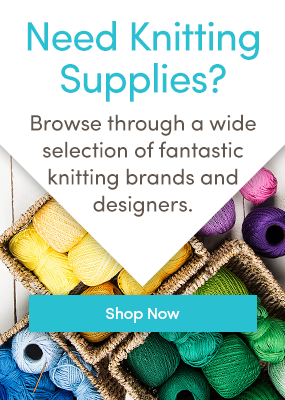 The Knitbot tag line is “Classic Designs for the Modern Knitter”. I think who the modern knitter is is changing, but in the recent past simple designs in Stockinette stitch knit from the top down were pieces I found an audience for. Which pattern is your most popular – what does the ”modern knitter” love? Featherweight Cardigan, which is the first pattern I self published. It remains my top seller! It’s a great first sweater, it’s highly wearable, and it serves as a great blank canvas for more advanced knitters. Which of your patterns would you recommend for a beginner, and which pattern for an experienced knitter looking for a challenge? Featherweight Cardigan is really good for beginners. For a quicker knit, I’d recommend Trail Jacket or Effortless Cardigan. For a pullover I’d recommend Lightweight Pullover. And for kids I’d recommend the Sock Yarn Sweater or Cradle Cardigan. What is your absolute must-have knitting accessory to keep knitting fun and easy? A tapestry needle…I can fake anything else, a tapestry needle – not so much! I’m a sweater knitter, though every fall I knit myself a new hat and cowl for the season. Now that I have children, I also enjoy knitting for them! Do you have any plans afoot – what’s next for you, and for Knitbot? I am working on a new book called Home & Away: Knits for Everyday Adventures. It features 5 previously released designs and 4 new ones. This is the first book I’ve published completely on my own and I am very excited to share it with everyone! It will feature articles based on popular knit.fm discussions, instructions written for both seamless and seamed versions of many of the sweaters plus beautiful photography. A worsted weight wool yarn in a timeless color like white or gray, sure to have a nice long shelf life! That’s it from LoveKnitting designer Hannah Fettig for this week – click here to view all of her gorgeous patterns! Last updated: July 11th, 2016. Great sweaters. Cardigans are so timeless and as a blank canvas can be decorated in any way we want!! I am looking for a cable sleeveles cardigan for a 4year old girl, long enough to just wear tights underneath. Love what you do! Love the look of your patterns. Will start with the feather weight cardigan, then I will try some children’s sweaters for my grandchildren.